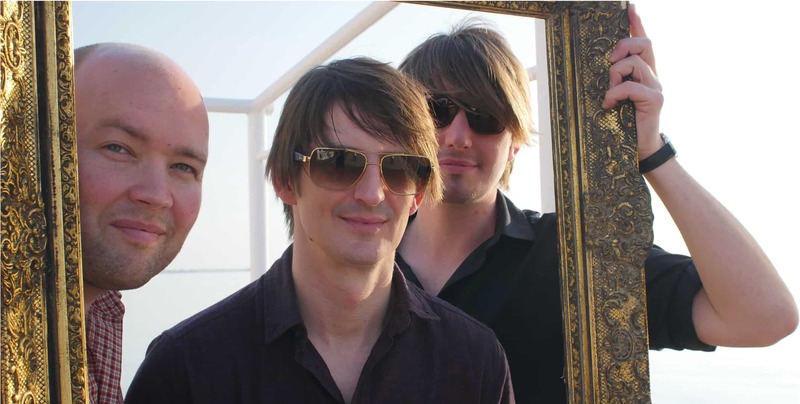 The Leisure Society is an indie-folk bank from England, consisting of Nick Hemming (guitarist/vocals), Christian Hardy (piano/co-vocals) and Mike Siddell (Violin). Having received a nomination for a prestigious award in 2009, the best song at the Ivor Novello, the Leisure society has been touted by many as the most likely successors to popular acts such as Fleet Foxes and Grizzly Bear. In recent, the acoustic trio was also signed to a UK label called Full Time Hobby with whom they went about re-releasing their instant classic “The Sleeper.” “We were really cynical about the music industry, but Nigel Adams at Full Time Hobby was just such a nice guy that we just went with him.” Nick Hemming on signing for UK record label, Full-Time Hobby. In fact such was the impressive rise and quality of their debut album, The Leisure Society attracted the interest of world famous producer Brian Eno who went on to request a meeting with the band at his studio in London. As already mentioned, Nick Hemming fronts the Leisure Society, and as such, much of the band’s influence can be attributed to his earlier experiences with a previous outfit in the 1990’s, She Talks to Angels. At this point in his young career, Hemming was already writing and performing songs for popular films such as “Dead Man’s Shoes” and “A Room For Romeo Brass”. Later, the guitarist moved to London where he met Christian Hardy, and the two of them brought a band together consisting of members from various bands on the scene at the time such as members of “The Miserable Rich” including violinist Mike Siddell. In respect of our 2SeasSessions, it was this trio who joined us for the recording. At the same time, the early beginnings of Hemming and Hardy’s friendship has evolved in unison with the music itself to the point at which the Leisure Society is now well-known and a celebrated group in the indie folk scene. Today, the entire group consists of Nick Hemming, Christian Hardy, Helen Whitaker, Sebastian Hankins, Michael Siddell & Jon Cox. Furthermore, some of the major influences for the group include the Beach Boys, The Kinks, Belle & Sebastian, Elliott Smith, and The Beatles. Although the most recent album is inspired by a friend who lost his battle with cancer, it is clear that memories live on for Hemming within the somberness and heartfelt tone of his lyrics. Furthermore, the flawless melody in these songs is undeniably catchy with striking guitar riffs accompanying such sharp and thoughtful lyrics. In our recordings with the Leisure Society, the band opens with a more pop-orientated “The fine art of hanging on” which is quite a contrast to the rest of the set list, albeit just as enjoyable. From here, the session transitions into the upbeat “Fight for Everyone” that features the trio in full swing with a beautiful piano hook, rhythmic guitar and meaningful violin throughout. “The Last of the Melting Snow” is melancholy and thought- provoking, yet cheerful as a sweet melody rings through as it so often does in each of their songs. And this general theme seems to ow and ebb as we continued to capture a very raw and stripped back version of their best work. We take great satisfaction to have been able to welcome the Leisure Society at 2SeasSessions and hopefully, to provide this excellent trio with a facility to showcase their music in such a powerful way. It must also be noted how, in spite of the apparent orchestrations in this session, the Leisure Society has a leaning toward the rock genre which seems entirely irrelevant having witnessed them record a near perfect acoustic performance. Lasting for six songs, the set list was varied in every essence with “Better Written Off”, “Arrivals and Departures” and “A Bird, A Bee Humanity” completing the arrangement along with the songs mentioned above. If anything, what is clearly obvious with the Leisure Society in our 2SeaSession recordings is the fact that their ambiance and aura is perfectly suited to the acoustic environment. Pure and crisp, the sound is almost flawless in every way, from the vocals right down to every keystroke on the piano. At the same time, there is a very humble nature within the above-mentioned aura as Nick, Christian, and Mike get lost in the sounds of the studio. The Leisure Society most recently released their fifth and most successful studio album to date.